Rieker Newa 96863 women's ankle boot. 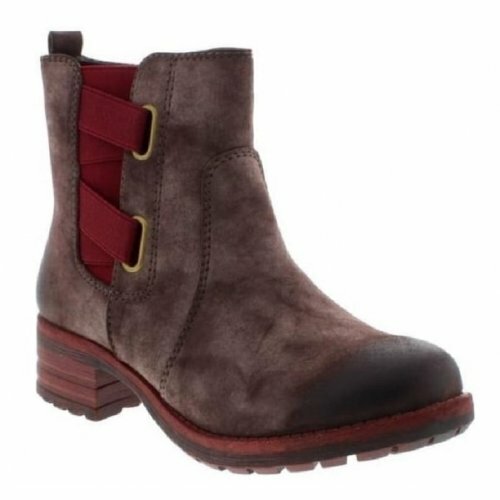 A brown synthetic suede upper with a contrasting red elasticated gusset and heel insert. A chunky TR sole provides grip and resilience, while the velvet lining provides warmth, perfect for those chilly winter days! A full length inside zip allows the boot to be slipped on and off with ease. A twist on a classic Chelsea boot, Rieker Newa is a timeless design. Available in brown from a size 36-41 (3-8).